Leslie Morgan Steiner seems mostly to agree. In her new book, “The Baby Chase,” Steiner tackles some of the legal, ethical, religious, and social thickets that arise when people use advanced reproductive technology, including the uterus of a stranger, to make a baby for themselves. But while offering some acknowledgment to the controversies surrounding surrogacy, the author comes down firmly on the side of prospective parents who’ve found themselves out of medical options and stymied by adoption red tape. For them, “infertility can become an insurmountable, intensely personal, crushing” burden, one intensified by religious condemnation, social ignorance, and financial strain. Steiner’s book tells the story of one such couple, Rhonda and Gerry Wile, whose quest for parenthood led them to one of India’s hundreds of surrogacy clinics, where women serve as surrogate mothers in exchange for life-changing money. Although Indian surrogates receive only a fraction of what their American counterparts do, their paycheck of around $5,000 is more than many Indian workers make in four years. For the Mumbai slum-dweller who decides to serve as a “Special Woman” in the parlance of Surrogacy India, the arrangement is embarrassing, isolating, if potentially lucrative. Because one of the prerequisites for the job is to already have given birth, they are leaving behind their own young children when they move into the company’s building for the entire third trimester. A thorough, sensitive reporter who gracefully narrates the stories of the Wiles, their doctors, and their surrogates, Steiner seems less adept at managing the scientific details — for example, frequently using “implant” in place of the more standard “transfer” when discussing the passage of embryos into a surrogate mother’s body. When she argues that gestational surrogacy is increasingly popular with prospective parents because the surrogate is “not biologically related” to their future baby — well, that can either seem like a fumbled attempt at the more accurate “genetically related” or it can remind you of the marketing materials for a burgeoning industry. 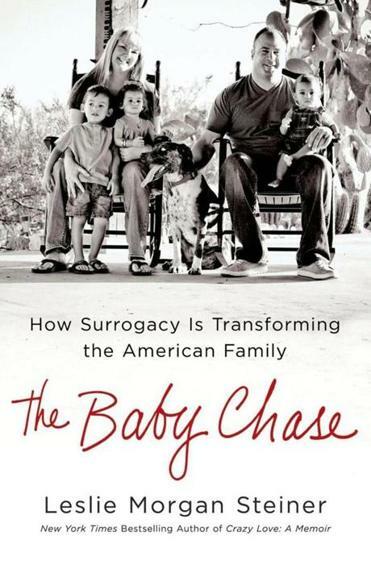 In the end, one wishes this book offered more of what its subtitle promises: how surrogacy may be transforming the American family (and the non-American families touched by it, for that matter). Why are so many American surrogate mothers (like the one quoted above) military wives, for instance? How and when do mothers and fathers raising their own genetic offspring talk to their children about having been part of a surrogate birth? “Infertility remains a cruel and unfair affliction,” Steiner writes; sadly, her focus on the pain felt by infertile couples edges out some of the bigger picture.